Earlier this week, I was doing my daily content marketing catch-up and I saw this article by digital expert Shane Barker – it was so informative! 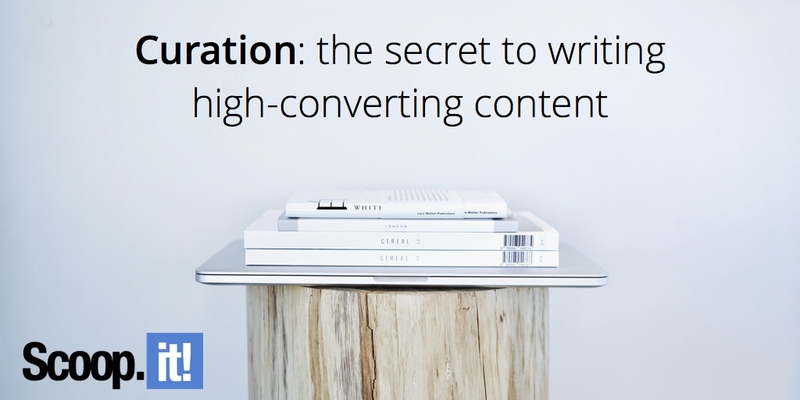 In it, he explains in details how to optimize your next blog post to make it convert. If you are a content marketing newbie, this is a good post to start with. 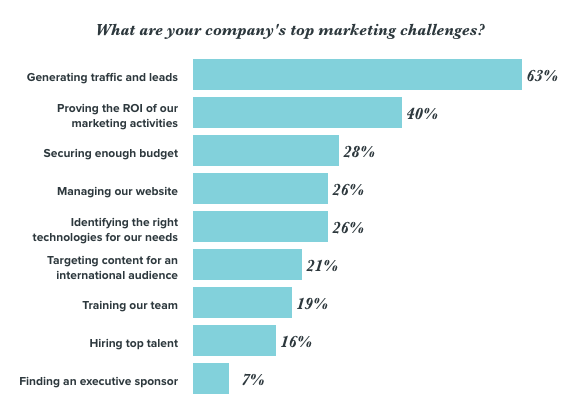 Lead generation is a major challenge for marketers. (at least for 63% of them, according to Hubspot’s State Of Inbound 2017). We also believe that lead generation should be your #1 priority, and we dedicated several articles on the matter. This post is pretty much an answer to the following question: how can I create a piece of content that would help me generate leads? According to Shane Barker, it’s crucial to pay attention to every single detail while creating content. You could use his points as a short checklist to keep on the corner of your desk! Don’t forget to add visuals: charts and graphs, screenshots, infographics, videos and so on. I completely agree that this list a good one, but we can always add additional tactics that could work for generating conversions. I also believe there’s an alternative to create a blog post from scratch, and luckily it could help you convert even more! Can you guess what I am talking about? Yes, curation! What is content curation? We could define it this way: “Curating content means finding the most relevant information on a given topic and presenting it in a meaningful way for your audience.” Curation is a faster way to create content – it takes 4x to 8x less times than writing an original piece of content. If you want to know more about this, go check our free complete guide on content curation. Now you may ask: why is curation more likely to generate leads? 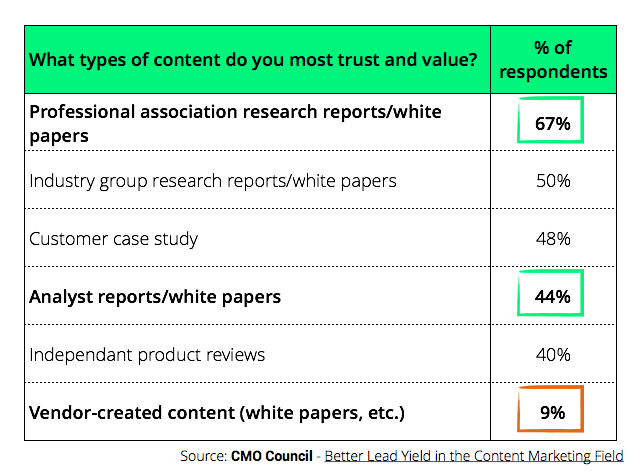 Well, we did a little research, and here is what we found out: third party content (that you would curate) is 4 to 7 times more trusted than your own. But that’s not all! Remember what we said earlier – curating content takes less time than creating content from scratch. So by saving time, you would be able to publish content more often, right? How to master content curation? Always add the source of the original article – don’t plagiarize it! 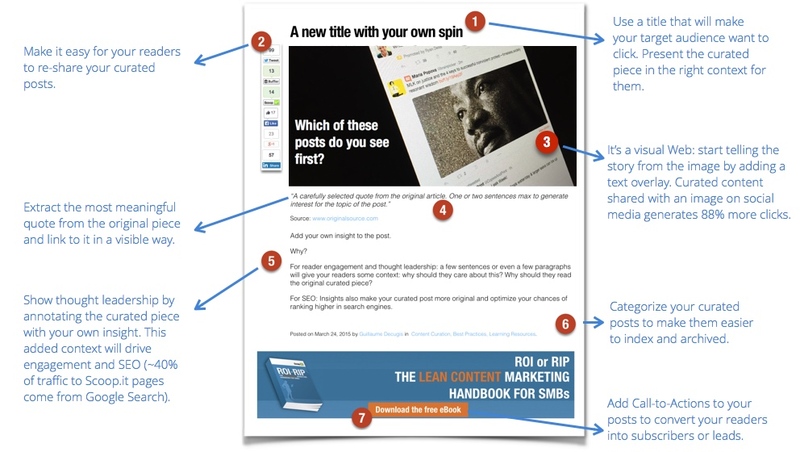 Add value to your piece: you’re not just sharing content here – you’re building your own piece. Here’s a question you could ask yourself if you don’t know where to start: what can I tell my readers to add value to the post I’m curating? Wondering how this could look like in the real world? Well, the post you’re reading right now is a concrete example of a curated post. After adding a title of my own and a quote from Shane Barker, I first did a quick summary of the author’s tips. From there I added my own insight such as “content curation is an alternative to original content creation – and it generates more leads”. Simple as ABC! Let’s sum up – if you want to attract leads, Shane’s list is a great starting point to optimize your next blog post for conversions (don’t forget your CTA!). But you could also save time and start curating third-party content for more impact! Also, don’t forget the importance of having a proper content marketing strategy beforehand: your content must answer questions your readers ask themselves at each stage of your funnel. 3 Comments on "Curation: the secret to writing high-converting content"
8 word headline–I’m going to have to try that one! Thanks for the info! Good article on curation. I will follow these steps and see the result! Powerful article. Your suggested methods for content curation are are very well exemplified in the shared infographic. Went ahead and got your free ebook too!